HVAC Services Monroe NC | Byrum Heating & A/C, Inc.
Back in the day, HVAC contractors usually just provided heater and air conditioner repair, along with heating and AC installations. Now, those services are just the beginning. When you partner with Byrum Heating & A/C, Inc., you’ll get a complete HVAC service lineup that covers everything from home energy efficiency to healthy indoor air. These days, you can customize your indoor environment right down to the last detail. Heater and air conditioner installation experts: Whether it’s a brand new ductless mini-split AC installation or a standard furnace repair or replacement, you want the unit properly sized and correctly installed. 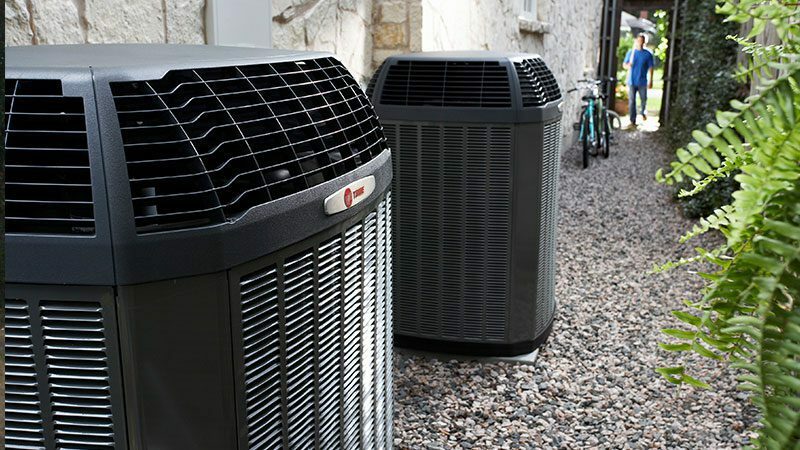 Our NATE-Certified technicians have mastered the fine art of impeccable system sizing and efficient HVAC installation. Speedy Heater and air conditioner repair: When your HVAC goes awry, you want it fixed yesterday. One call to our emergency HVAC hotline is all it takes to quickly manifest a fully-qualified service technician armed with high-tech diagnostic tools and factory-authorized replacement parts. HVAC maintenance specialists: Our tuneups include a complete equipment cleaning and a thorough system inspection. Your service technician will perform maintenance tasks like cleaning the condensate drain, tightening loose electrical connections, calibrating the thermostat and checking the refrigerant level. Duct cleaning and sealing: Not only do we clear your ductwork of pollutants that cause health problems and obstruct HVAC airflow, but we also seal duct leaks to keep contaminants out and prevent the loss of treated air. Zoning installation: Stop wasting precious energy on heating or cooling an entire house. Instead, create separate zones in your Monroe, NC, home to heat or cool only the rooms you’re using. Home automation: Manage every detail of your Monroe, NC, home from anywhere in the world using a smartphone or tablet. Our Happy Customer Guarantee means that we’ll do whatever it takes to ensure your complete satisfaction with our products and our work. Call Byrum Heating & A/C, Inc., and let us put a happy smile on your face.